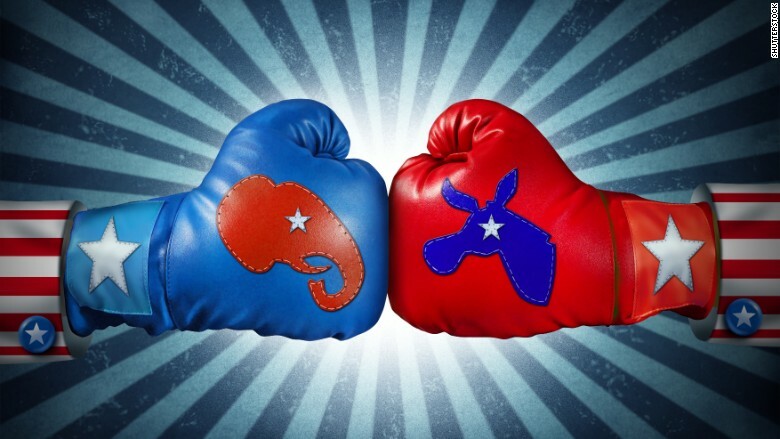 Democrats vs. Republicans: Who's better for stocks? Hillary Clinton claims the American economy does better when a Democrat is president. Republican Carly Fiorina says that's a joke. Our friends at Factcheck.org break it down nicely. The short version is: Clinton is correct...to an extent. The economy has performed better under Democratic presidents, but the Princeton professors who did the analysis explicitly say it's not because of superior policies. Some of it comes down to luck. For example, the global economy does especially well and oil prices don't spike. Another key question is who's better for investors? Since 1945, the average annual gain under a Democratic president is 9.7%. Under a Republican president, it's only been 6.7%, according to Sam Stovall, chief equity strategist at S&P Capital IQ. 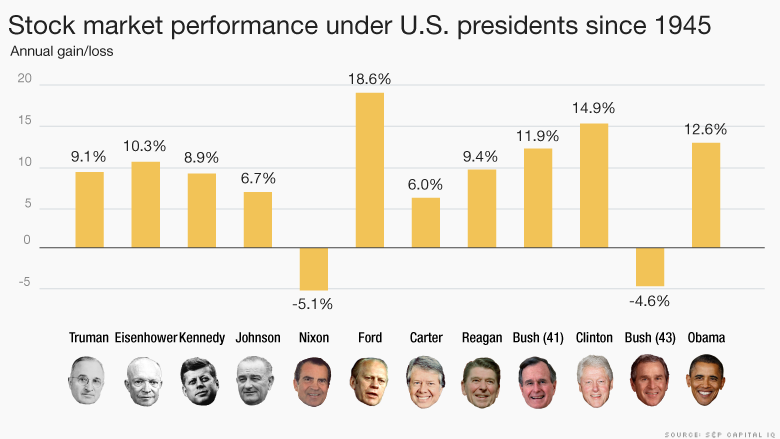 The only two presidents with negative average annual returns during their tenure are both Republicans -- Nixon (-5.1%) and George W. Bush (-4.6%). 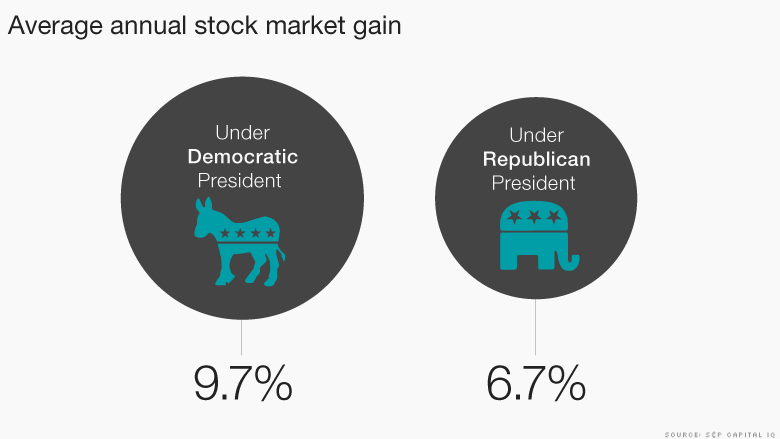 President Obama is on track to be the 2nd best Democrat for the stock market since World War II, although lately the market has hit a lot of turbulence. Those gains might be dented in his final year in office. Interestingly, Stovall of S&P Capital IQ also took a look at the how the stock market does depending upon who controls Congress. When Stovall sliced and diced the data that way since World War II, the best performance was when the nation had a Republican president with a Republican-controlled Congress. That was followed closely by a Democratic president facing a Republican Congress or split Congress. -- CNNMoney's Christine Romans and Logan Whiteside contributed to this article.